It’s no secret that I love a good curry and I can throw this one together in minutes with ingredients that are close at hand. I’ve included both stove top and Thermomix instructions. 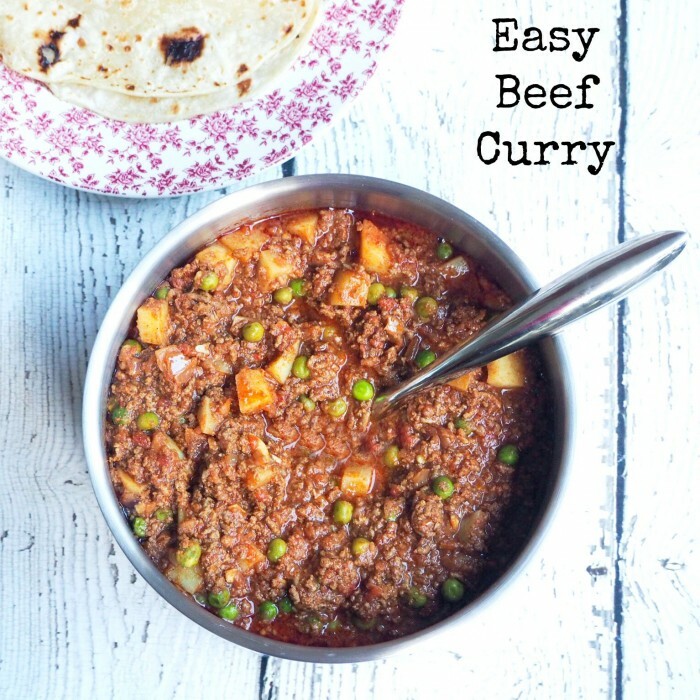 You can make this curry super quick in the Thermomix, but the texture of mince is much finer. The thing I really love about this dish is that by changing the curry paste, you can make it as mild or nicely spicy as you like. If you like something mild, I can really recommend the Korma, Rogan Josh packs more of a punch, and we’re yet to really heat things up with the Vindaloo! This freezes super well, so you can always have curry when you’re in a hurry! 1. Heat the oil in a large pan, add the onion and cook for a couple of minutes to soften. Then add the garlic, stir for 1 minute, then add the mince. Cook until browned. 2. Stir in the curry paste, tomatoes, potatoes, tomato paste and half a can of water. Season well. Cover and simmer for 20 minutes or until the spuds are almost cooked. 3. Remove the lid and simmer for another 10-15 minutes until the liquid has reduced and the sauce starts to cling to the meat and potatoes. 4. Add the peas and stir through until defrosted. 5. Serve with some rotis and natural yoghurt on the side. 1. Place onion and garlic into TM bowl and chop for 3 seconds on speed 5. 2. Scrape down sides of bowl. Add curry paste and oil and sauté 3 minutes on Varoma on speed 1. 3. Add beef mince and cook for 5 minutes at 100C reverse speed soft. 4. Add chopped potatoes, tomatoes and tomato paste to the TM bowl and cook for 20 minutes at 100C on reverse speed soft. Don’t replace the MC, cover the lid with the steaming basket instead. 5. Add the peas and cook for 5 minutes at 100C on reverse speed soft. 5. Transfer to Thermoserver to keep warm. Serve with some rotis and natural yoghurt on the side.